A Rhode Island rapper whose songs include "Sell Drugsz" and "Feds Watching" was sentenced this week to three years in federal prison for trafficking heroin and fentanyl. Michael Persaud, aka "Montana Millz," 30, of Johnston, pleaded guilty in October to five counts of distribution of fentanyl and one count each of possession with the intent to distribute fentanyl and distribution of heroin. Prosecutors said he was arrested following a 4-1/2 month investigation during which an undercover East Providence police detective arranged for several purchases of heroin and fentanyl from Persaud, totaling nearly 22 grams of fentanyl and 2 grams of heroin. In several instances, prosecutors said Persaud used other people to assist in the delivery of the drugs. On at least two occasions, he was driven by his girlfriend and mother of three of his children to deliver fentanyl to the undercover detective. Last March, East Providence police and members of the Rhode Island Drug Enforcement Administration Drug Task Force executed a search warrant at the home of the mother of one of Persaud's children, where they seized 44 grams of fentanyl he had hidden in the residence. Persaud also faces sentencing on similar charges out of Pennsylvania, where he was convicted in August as a result of an investigation into his drug trafficking activities in that state back in 2016. 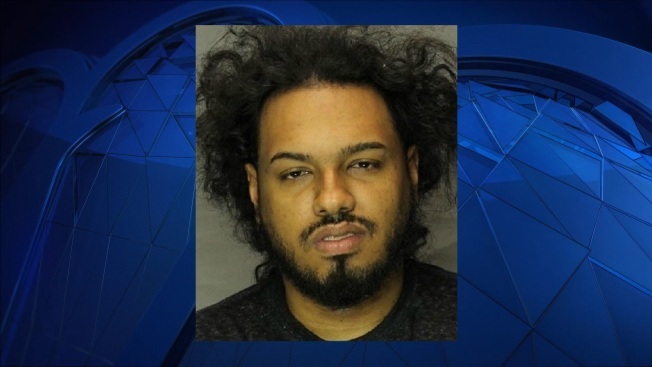 The Lebanon County, Pennsylvania district attorney said Persaud and a female accomplice sold heroin to an undercover police officer during a month-long investigation. The district attorney said they sold 70 bags of heroin to an undercover officer in Lebanon and were arrested. The Lebanon County district attorney said police raided the couple's hotel room and found more than 2 ounces of heroin worth about $11,500.